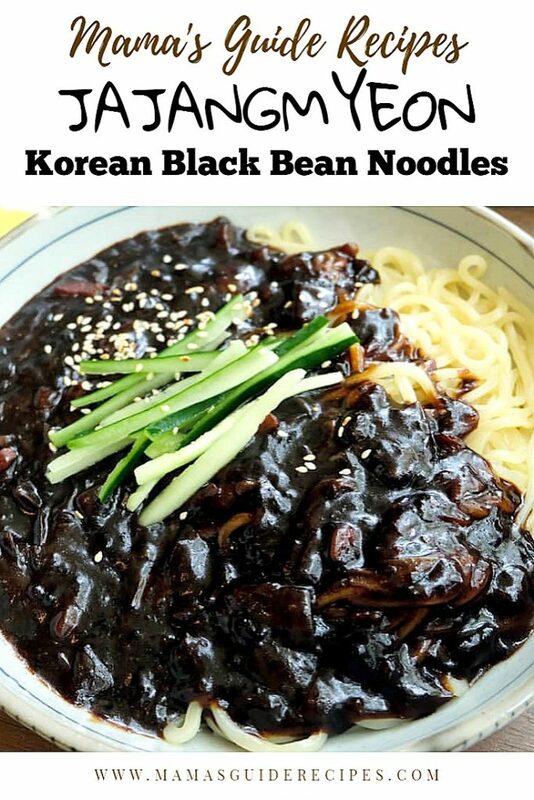 Jajangmyeon Recipe – Korean Noodles in Black Bean Sauce. This made simple recipe, is sweet and savory noodle dish. A popular Korean-Chinese noodle dish that Filipinos are starting to love too. The main ingredients Korean black bean paste called chunjang (춘장) can be easily purchase in any major supermarkets (in Philippines) along the International Isles or section of the grocery. You may also purchase korean ingredients online for Cash on Delivery. Please remember that the black bean paste is first fried in oil. This technique helps remove the bitter taste of the bean paste plus adding a pinch of sugar to balance bitter and salty taste. Pork is the classic recipe for the meat, but you may substitute it with your preferred meat. The most common ingredients for jajangmyeon includes vegetables such as onion, cabbage, zucchini, and potato. Have a pot ready to cook the noodles. Once done, drain from water and set aside. Heat 1 tablespoon of oil in pan over high heat. Saute scallions and garlic until fragrant. Then add pork belly, soy sauce and stir fry until golden brown and crisped Add in onions and cabbage. Sauté until onions are soft. Toss in the zucchini, stir-fry for 1 minute and add oyster sauce. Move aside the ingredients in the pan. In the center of pan, add little oil and add korean black bean paste, stir (chunjang) and let it toast for a minute. This process will remove the bitter taste of chunjang. Add sugar and toss back all the ingredients. Add 1 cup of chicken broth/water. Bring it to a boil. Adjust heat to low and let it simmer. Add the potato starch slurry (or cornstarch). Toss and turn until sauce becomes thick for about a minute or two. Season with sesame oil and turn off heat. Serve with the cooked korean fresh noodles and garnish with the julienned cucumber. Serve with sunny side up eggs or boiled egg on the side. Enjoy!